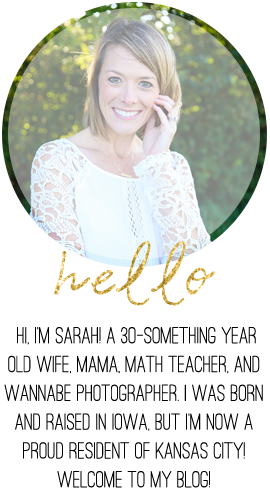 After three days off, I'm back at school today! I could sure get used to working Mondays and Fridays only! And despite being exhausted by day's end, I thoroughly enjoyed my extra time at home with the B-Man. 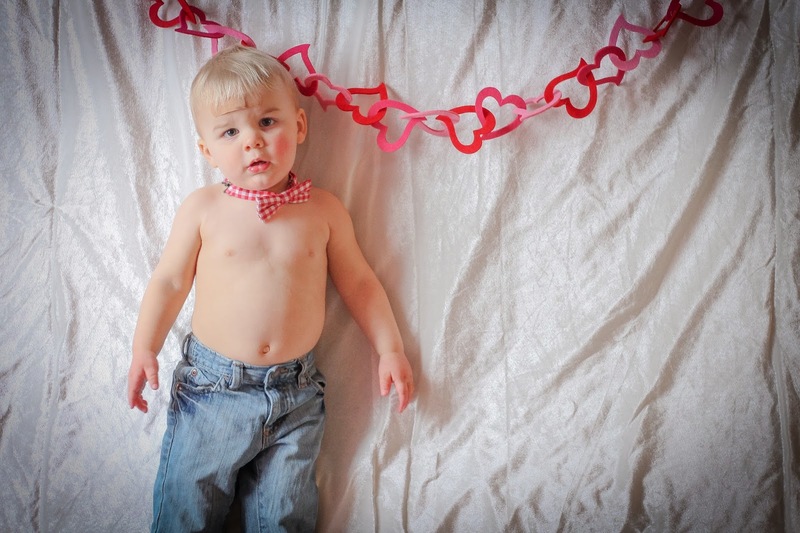 One of our snow day activities included taking some Valentine-themed photos. 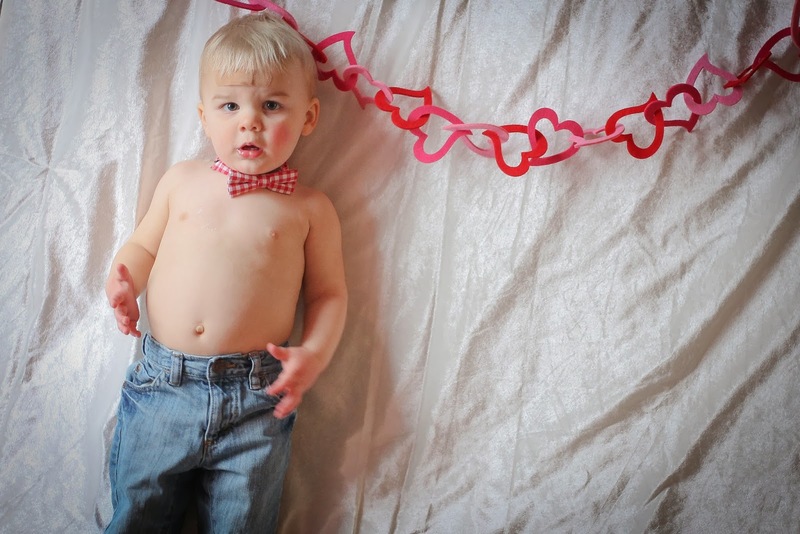 The pictures turned out okay. 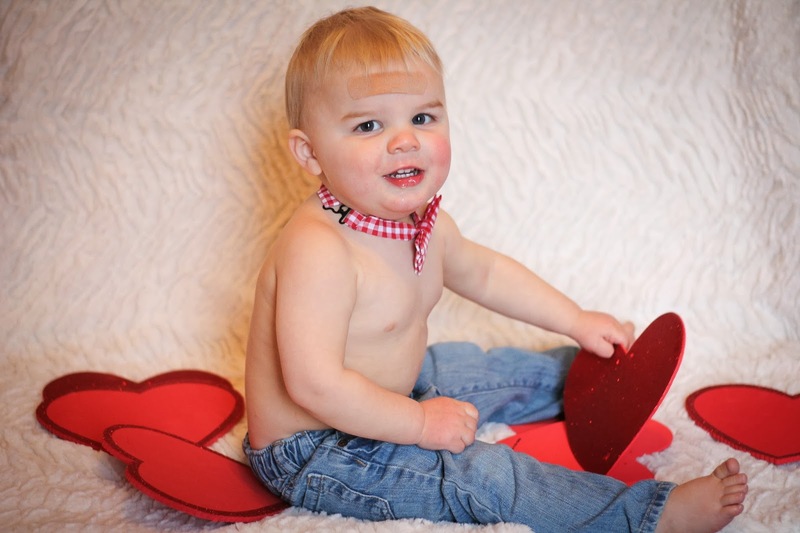 Poor guy had a band-aid covering his stitches, and even at 19 months old, I still can't get him to smile for the camera! 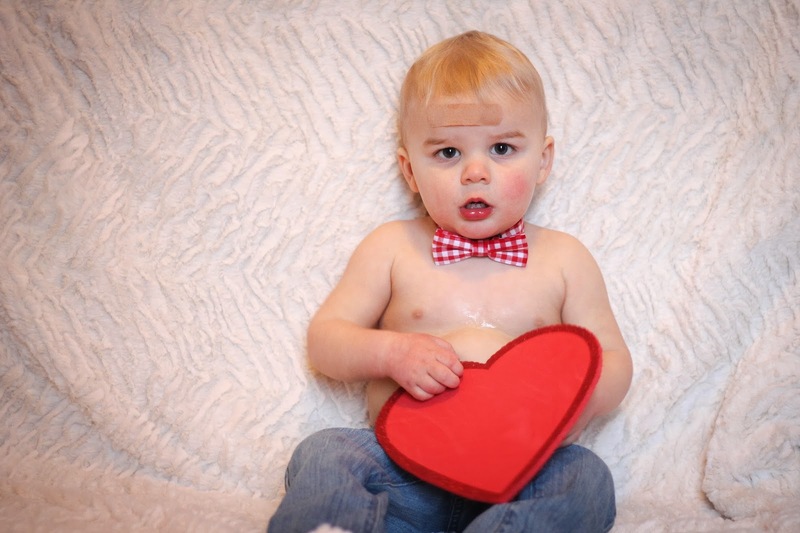 But he's still as cute as a Valentine can be. At least in this mama's eyes! 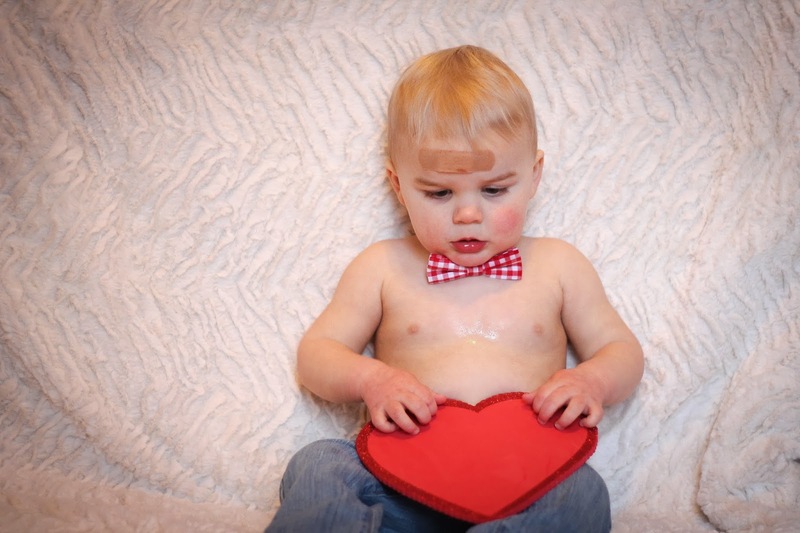 Happy Friday and happy 1-week until Valentine's Day! 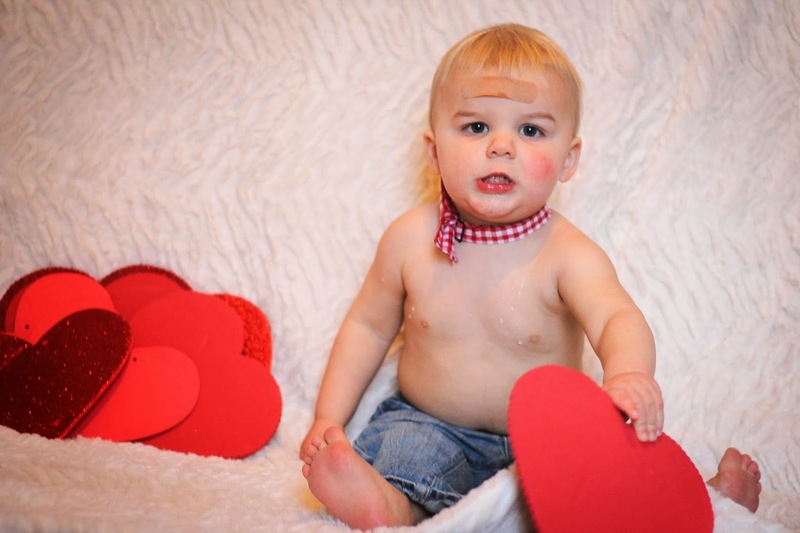 Check out last year's Valentine photo shoot here.